To make the salsa, combine all of the ingredients together, mix well, and season with salt and pepper. Heat a large skillet over medium heat. Swirl in the olive oil, and place salmon in hot pan, skin side down, and sear skin until crispy, approximately 2 minutes. Salmon should turn pinkish white 1/4-inch around the edge. 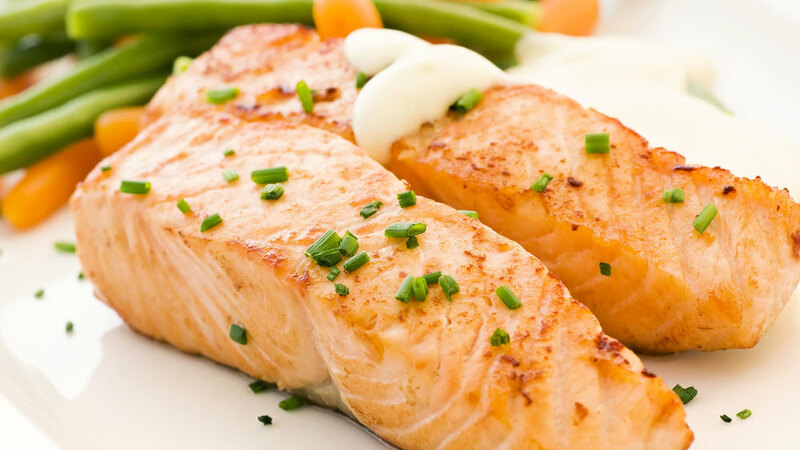 Place the salmon in oven for approximately 5 minutes to finish cooking or until salmon reaches 145 degrees Fahrenheit. To serve, place in the center of plate, and top with artichoke salsa. “Wow! Salmon, avocado, and olive oil—some of the hearts favorite healthy fats! Don’t let the amount of fat in this dish scare you from preparing it, most of the food in this recipe provides the right amount of “good” fat your body requires to stay nourished while preventing diseases.